WanderMan: Portable Battery Packs With Wireless Charging - Do they Work? Portable Battery Packs With Wireless Charging - Do they Work? A while back I wrote an article about wirelessly charging your devices. Mostly USB (mini, micro, etc.). It involved either having a device that could take advantage of charging wirelessly or using an add-on charging coil to receive the power. I've been using several different wirelessly charged devices lately and it works pretty well. Mainly the issue is one of time, it takes longer to charge without wires since the amount of current is lower than that supplied with a solid piece of wire. That being said, to put my phone on the charging surface before I go to sleep and have it charged in the morning without plugging in a cable is pretty cool. Less wear and tear on your cable sockets. These days, with the tiny versions of USB phone manufacturers are using, too many plug-ins can damage the socket and then you have a real problem. What about 12V charging when shore power isn't available? 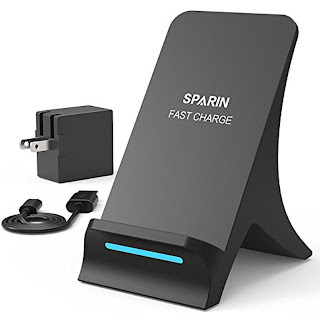 Some of the wireless charging docks that plug in have their own transformers (that convert 120V AC into some type of DC) that connect to the dock itself. Many of them, if you look carefully at the specs, need around 12 Volts to power them. Many of them only need 5 Volts. If you have one that uses 12 Volts, and will accept a range close to it (11-15-ish Volts) then you can use an adapter to your RV's 12 Volt electrical system. That would involve getting a 12V cigarette lighter plug and the appropriate plug on the charger side and splicing them together. Even then, it's a bit of a gamble as your RV's 12V DC electrical system can vary voltage as the batteries discharge and charge. Many devices don't like variety at all. If you look hard enough, you can find a wireless charger that uses a simple USB cord to charge itself. Add this to a standard (somewhat) 12V cigarette lighter to USB adapter and you have much safer and reliable charging. I've written a few articles covering USB adapters that have much more detailed information, but they work great and are available in various Amperages to support most of the newest devices. 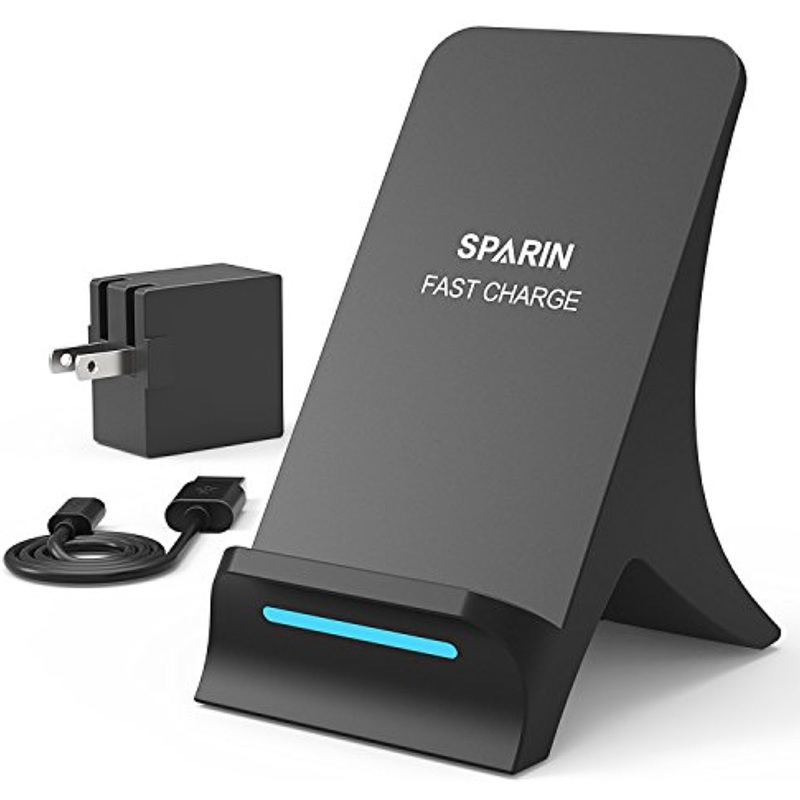 I found a cool charger that gets its power from a USB cord and has a built in charging coil for wireless devices to use. What makes it cool? It has its own built in battery so you can use it whether it's plugged into the RV or not. It will also charge other USB-based devices with a conventional USB port on the side. Its Lithium Ion battery holds 5000mAh of power which is enough to charge most phones more than once. It weighs a few ounces and is a tiny bit bigger than a deck of cards. Best of all...it works. Without any "finagling." All I do is put my device on the battery pack/charger and it starts charging, whether I have power going to it or not. Almost like magic. Well, after you turn the unit on...I've made that mistake a couple of times! We are getting closer to ditching our tethers...soon...very soon! If you like this, look into the Jump-start battery packs. Charge it up, and you can jump-start your engine, or charge USB devices. Mine is about the same size as a novel, and they come in different capacities. Some can even start the engine in a semi! I bought a really nice one of those a while back and it really didn't work well. I have been searching for a better quality one that won't die before use. They seem like a GREAT idea to have! Stay tuned for an article about that in the very near future. And stop reading my mind! Agree with csvreno. The small jump-start battery packs are much more versatile. Mine is small enough to carry in a pants or jacket pocket, so I take it everywhere. In addition to charging my phone, I have started a car, motorcycle and riding lawnmower with it. Check out this weeks article.. It's my first experience with Jump starter packs...not my last!